So much pressure to intent and create and be clear and manifest… it can all get a bit overwhelming sometimes. We put so much pressure on ourselves to get it just right… perfect even! Yes, we need to know what we want, but we did work on simplifying it by boiling it down to it’s pure essence. Yes, we do intend that it be for the Highest Good of All… but what if we are missing something as time is flying along? What if we should be doing a better job? Being more focused, more dedicated, more committed????? It’s enough to drive you insane! And it will, if you let it! You are doing a great job! Everything is going to be OK. If you have made a little errors along the way, it’s OK… forgive yourself, learn and move on! Maybe you have stepped on some toes. Maybe things are not looking exactly as you had imagined, hoped and dreamed… yet. Breathe. Let go of the worries, doubts and fears. They are holding you back more than the obstacles you perceive. 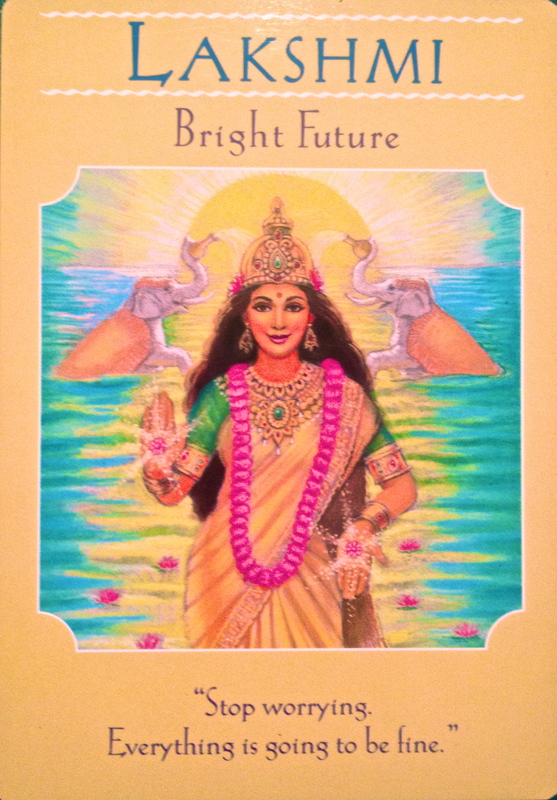 Just decide, right here and now, that if Lakshmi says that everything is going to be fine, It IS! Keep on keeping on. You are on the right track. Everything is working out, even if it doesn’t look like it just yet. Hold on tight to your faith. Take a little time for yourself. Celebrate the victories, no matter how small or insignificant they may seem. And know that you are on the verge of something great, and brand new and wonderful.